Being a mother is a great experience and few women would argue that all the suffering they go through immediately before becoming a mother isn’t worth it. In general, the body of the woman will return to its form – if not slightly altered – after giving birth to a child. But for some women, they develop an aesthetics and functional issue called diastasis recti. This blog post discusses how diastasis recti can be cured using a tummy tuck in Dubai. Continue reading to learn more. Diastasis recti is an abdominal condition where the skin around the belly button sticks out. It happens due to an increase in the space between the right and left abdominal muscles. This issue can happen to men and women but pregnant women are the majority of the sufferers. As per the statistics of the American Society of Plastic Surgeons, about two-thirds of pregnant women experience this condition. Often, newborn babies have diastasis recti but it will disappear in time. But for women who have more than one baby, they are inclined to experience diastasis recti. Furthermore, women over 35 as well as those who have carried a heavy baby or multiples, including twins and triplets, are prone to suffering from this condition. There are different ways to get rid of diastasis recti, but one of the options includes having abdominoplasty or tummy tuck surgery. Here is how this surgical technique works. There are different treatment options to fix the cosmetic problems faced by the abdominal area. An abdominoplasty or tummy tuck surgery is often used to attain different cosmetic and functional goals. It is a surgical treatment where extra skin and fat are removed/cut to give the abdomen a more desirable shape. As it is a surgical option, there are side effects and there is downtime after the procedure. The success rate is quite high if you find the right plastic surgeon for your treatment. The most qualified person for this procedure is a board-certified plastic surgeon and at Euromed we have several of them. This treatment is recommended to fix a variety of abdominal problems. The need for this surgery mostly arises due to the following reasons. If you live in the UAE, you can have an advanced tummy tuck in Dubai. Many clinics offer it in Dubai; but the tummy tuck cost and achieving best possible results can be concerns for patients. 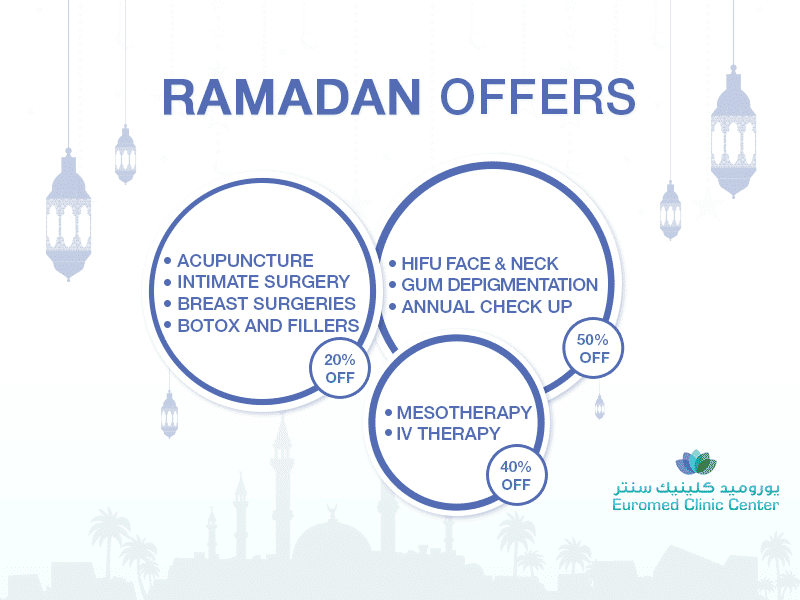 At Euromed Clinic Center Dubai, we offer the treatment at a reasonable cost and we deliver unrivalled results. If you do not want to pay the full cost of the procedure up front, there is good news for you. You can avail our interest-free loan facility. This way, you will be able pay back the loan in easy monthly instalments. If you are interested in abdominoplasty in Dubai, look no further than Euromed Clinic Center Dubai. Do you want to contour your abdominal area? Book an appointment for more information. If you are suffering from diastasis, you should consider tummy tuck in Dubai to make your body look perfect. The plastic surgeons at the Euromed Clinic Center Dubai would love to guide you further. Please book your appointment now by calling us or filling the short online form now.